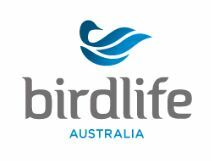 BirdLife Australia (BirdLife) has been the voice for Australia’s birdlife for over a century and works nationally to develop advocacy and research initiatives and partnerships to achieve outstanding conservation results for our native birds and their habitats. BirdLife’s achievements are derived from combining the skills, enthusiasm and commitment of its 145,000 supporters and volunteers. To contribute to conserving and enhancing the future of Australia’s birds and their habitats apply now by submitting your resume and cover letter address the key skills. Alternatively, please call Emma Naglieri on 03 8319 4080 for a further discussion. Please quote in application: Technology Program Lead via Pro Bono Australia.